In the present case, the assessee is following Mercantile system of accounting therefore, the assessee was required to disclose the profit which accrued corresponding to the part of the work of the project executed by the assessee. The Assessing Officer was required to examine the agreement to sale for units and record whether any specified area of plot of land was allocated to the customers and significant risk relating to the said plot like price risk, any regulatory risk (related to state government or any local authority) was transferred by the assessee. He was also required to examine whether there was any restriction on the buyer to sale or transfer his interest in the property to a third person till complete sale consideration is paid. In our opinion, if the significant risk and reward are transferred to the buyer, the amounts received from the buyer to the extent of stage of completion of the project has accrued to the assessee and it should be subject to tax in terms of section 5 of the Act. Before us, the percentage of work completed by the assessee on the project, is not available and, thus, we are unable to compute the revenue recognized from the project. In view of the above facts and circumstances, we feel it appropriate to set aside the order of lower authorities on the issue in dispute raised in both the appeals and restore the matter to the file of the Assessing Officer for deciding afresh in view of observation made by us above. The assessee shall be afforded adequate opportunity of being heard. Accordingly, the grounds raised in both the appeals are allowed for statistical purposes. These cross appeals of the assessee and the Revenue are directed against order dated 11/01/2013 of Ld. Commissioner of Income-tax (Appeals)-IV, New Delhi [in short ‘the Ld. CIT-(A)’] for assessment year 2009-10. 1. On the facts and circumstances of the case, the Learned Commissioner of Income-tax (Appeals) has erred in confirming the addition of Rs. 1,34,37,679/- on account of Assured Return made by Ld. A.O. in his assessment order u/s 143(3) of the l.T. Act. 2. On the facts and circumstances of the case as well as law on the subject, the learned Commissioner of Income-tax (Appeals) has erred in confirming the action of the Assessing Officer by ignoring the submission of the assessee and by treating the expenses of Rs. 1,34,37,679/- for assured return as capital expenses/part of inventory whereas these have been incurred for ensuring the sales booking/receipt of advance by the company considering the prevailing market conditions. The learned Commissioner of Income-tax (Appeals) has also failed to appreciate that the assessee has to incur such expenses as assured return on advance lease premium to meet competition in the market for selling its products. Further, the capitalization of assured return expenses are also not in conformity with the applicable Accounting Standards. 3. That the learned Commissioner of Income Tax (Appeals) also erred while observing that “so far as the expenses of Rs. 1,34,37,679/- under the head assured return are concerned, the fact and nature of expense is different as the expense is relating to booking which is unidentified and may even be in relation to some future projects”. That in doing so, the learned CIT (A) has completely disregarded the facts of the case and observations as given by way of note no. 15 of schedule 11 to the audited balance sheet as at March 31, 2008 and the explanation/evidences furnished by the assessee company during the appellate proceeding duly supported by Audited Financial Statements as Books of Accounts, Profit and loss Account, Balance Sheet, notes to accounts etc. 4. That the learned CIT (A) has further overlooked the fact of the instant case, that the advance received from sales booking was applied for the business of the assessee and also the interest income from fixed deposits made out of advance received has been duly shown as part of income of the assessee company. 5. That the Appellant craves to leave, alter, vary and/or add or delete any ground of appeal at any time thereafter. 1. Whether the Ld. CIT(A) has erred in law and on facts in deleting the expenses made by account of Advertisement and Marketing Expenses, Employees Salary, Traveling Expenses, Legal Expenses and Brokerage Expenses, amounting to Rs. 10,32,42,076/- ignoring the facts that these expenses incurred by the assessee are of capital in nature. 2. The Appellant craves for reserving the right to amend, modify, alter, add or forego any ground(s) of appeal at any time before or during the hearting of this appeal. 4. When these appeals were called for hearing, neither anyone attended on behalf of the assessee nor any application for adjournment was placed before the Bench. On perusal of the record, we find that these appeals are pending since, 2013 and on many occasions, the case was adjourned on the request of the assessee. The Ld. counsel of the assessee also filed two paper books containing written submission on 14/02/2014 and 18/08/2016 respectively. During the hearing dated 25/04/2017, the Ld. counsel of the assessee requested for issue of notice of hearing on the official liquidator of the company, at the address provided by him. In view of his request, notice for hearing was issued on 23/08/2017 on the Assistant Official Liquidator at his address located on 8th floor, Loknayak Bhawan, Khan market, New Delhi fixing the date of hearing on 04/10/2017. On perusal of the record, we find that this notice has not been returned unserved. On said date also, none attended on behalf of the official liquidator of the company. Again a fresh notice was issued on 27/11/2017 fixing the appeal on 18/12/2017 but none attended on behalf of the assessee. In view of the above, we are of the considered view that further adjournment of these appeals would not serve any purpose and these appeals may be disposed on the basis of the record after hearing the Ld. DR on behalf of the Revenue. We, therefore, proceeded to hear and adjudicate these appeals accordingly. 5. The briefly stated facts of the case are that during the year under consideration, the assessee company was engaged in construction and development of a technology Park namely “SPIRE EDGE”in ‘Manesar’, (Haryana). The company acquired land measuring approximately 1.3 million square-feet and started construction work thereon. Out of the saleable area of 12,22,959.60 square feet, the assessee booked sales of 1,99,326 square feet till the end of the relevant year under consideration and received advances of Rs. 50,41,05,499/- from 187 customers on booking of commercial units. 5.1 The assessee filed return of income on 30/09/2009 declaring nil income. The case was selected for scrutiny and notice under section 143(2) of the Income-tax Act, 1961 (in short ‘the Act’) was issued and complied with. During assessment proceeding, the Assessing Officer observed that expenses incurred on land and construction work debited to work in progress account reflected as inventory in the balance sheet and no revenue was recognised. The Assessing Officer noted work in progress of Rs. 43.51 crores and advance from customers of Rs.54.35 crores as on 31/03/2009. The assessee did not recognise any revenue from the project and the only income which was reflected in the profit and loss account was on account of interest income on deposits with banks. Miscellaneous expenses 913221 252496 660725 Bifurcated for the project. 5.3 The assessee claimed that advertisement expenses were made for the purpose of marketing of it goods and these expenses were not for acquiring, extending or improving any assets and, therefore, there was no value addition in the inventory of the company due to the advertising and marketing expenses debited to profit and loss account. 5.4 The contention of the assessee that expenses related to the projects were already transferred to inventory and the expenses which were not specific to any project were claimed as revenue expenditure. 5.6 Aggrieved, the assessee filed appeal before the Ld. CIT-(A) and partly allowed the appeal of the assessee. The learned CIT-(A) allowed the dis allowances except amount of Rs. 1,34,37,679/- related to assured returns. 5.7 Aggrieved, both the assessee and the Revenue are in appeal before the Tribunal raising the respective grounds as above. 6. Before us, the Ld. CIT(DR) arguing both the ground of the appeal of the assessee as well as grounds of the appeal of the Revenue, submitted that the assessee in its submission before the learned CIT-(A) has accepted the fact of following the guidance note of ICAI for revenue from real estate developers and according to which the assessee was required to recognize the revenue corresponding to the sales booked, if substantial work was already done on the project and substantial risk and rewards have been transferred to the customer. According to her, in view of the Percentage Completion Method (PCM) provided for real estate developers in guidance note of ICAI and income accrued or arisen in terms of section 5 of the Income Tax Act in case of the assessee following Mercantile method, the assessee was required to recognize revenue from sales booked of Rs. 54.35 crores in proportion to the expenses incurred in respect of the project. In view of her, rather than disallowing the expenses, the authorities should have recognized the Revenue and the income should have been assessed accordingly. She, therefore, requested that matter may be restored to the file of the Assessing Officer for deciding the issue afresh. i) Income from real estate sales Is recognized on the transfer of all significant risk and rewards of ownership to the buyers and when it Is not unreasonable to expect ultimate collection and no significant uncertainty exists regarding the amount of However if, at the time of transfer, substantial acts arc yet to be performed under the contract, revenue is recognized on the basis of percentage of actual cost incurred thereon, Including land and total estimated construction and development cost of projects under execution, subject to the reliability of the outcome of the project. The estimates of saleable area and costs are reviewed periodically by the management and any effect of changes in estimates Is recognized in the period such changes are determined. However, when the total project cost is estimated to exceed total revenues from the project, the loss is recognized immediately. Determination of revenues under the percentage of completion method necessarily involves making estimates by the Company, some of which are technical in nature, concerning, where relevant, the percentage of completion, costs to completion, and the expected revenues from the projects and the foreseeable losses to completion. (iii) It is not unreasonable to expect ultimate collection. (d) the project costs attributable to the project can be clearly identified and measured reliably so that actual project costs incurred can be compared with prior estimates. When the outcome of a project can be estimated reliably, project revenues and project costs associated with the project should be recognized as revenue and expenses respectively applying the percentage of completion method in the manner detailed in paragraphs 5.3 to 5.8 below. 5.3 Further to the conditions in paragraph 5.2 there is a rebuttable presumption that the outcome of a real estate project can be estimated reliably and that revenue should be recognized under the percentage completion method only when the events in (a) to (d) below are completed. (i) Environmental and other clearances. (ii) Approval of plans, designs, etc. (iii) Title to land or other rights to development/ construction. (b) When the stage of completion of the project reaches a Reasonable level of development. A reasonable level of development is not achieved if the expenditure incurred on construction and development costs is less than 25 % of the construction and development costs as defined in paragraph 2.2(c) read with paragraphs 2.3 to 2.5. (c) At least 25% of the saleable project area is secured by contracts or agreements with buyers. (d) At least 10 % of the total revenue as per the agreements of sale or any other legally enforceable documents are realized at the reporting date in respect of each of the contracts and it is reasonable to expect that the parties to such contracts will comply with the payment terms as defined in the contracts. To illustrate – If there are 10 Agreements of sale and 10 % of gross amount is realized in case of 8 agreements, revenue can be recognized with respect to these 8 agreements. 10. In terms of section 5 of the Act also the total income of the assessee include incomes from whatever sources accrued or arisen to him in India during such year. 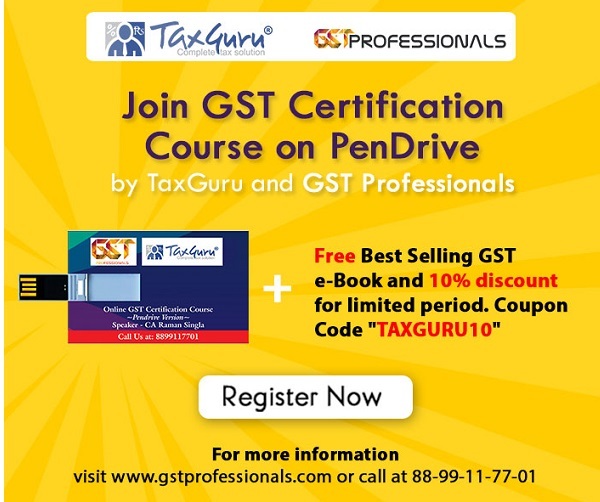 Further, in terms of section 145(1) of the Act profit and gains of the business or profession is computed in accordance with either cash or Mercantile System regularly employed by the assessee. 11. In the present case, the assessee is following Mercantile system of accounting therefore, the assessee was required to disclose the profit which accrued corresponding to the part of the work of the project executed by the assessee. The Assessing Officer was required to examine the agreement to sale for units and record whether any specified area of plot of land was allocated to the customers and significant risk relating to the said plot like price risk, any regulatory risk (related to state government or any local authority) was transferred by the assessee. He was also required to examine whether there was any restriction on the buyer to sale or transfer his interest in the property to a third person till complete sale consideration is paid. In our opinion, if the significant risk and reward are transferred to the buyer, the amounts received from the buyer to the extent of stage of completion of the project has accrued to the assessee and it should be subject to tax in terms of section 5 of the Act. Before us, the percentage of work completed by the assessee on the project, is not available and, thus, we are unable to compute the revenue recognized from the project. 12. In view of the above facts and circumstances, we feel it appropriate to set aside the order of lower authorities on the issue in dispute raised in both the appeals and restore the matter to the file of the Assessing Officer for deciding afresh in view of observation made by us above. The assessee shall be afforded adequate opportunity of being heard. Accordingly, the grounds raised in both the appeals are allowed for statistical purposes. 13. In the result, both the appeals of the Revenue and the assessee are allowed for statistical purposes. The decision is pronounced in the open court on 17th Jan., 2018.